Yacht Style was a proud partner of the three-day Asia premiere of Sunseeker’s 74 Sport Yacht, which showcased the latest addition to the Platinum Cruises Asia fleet. 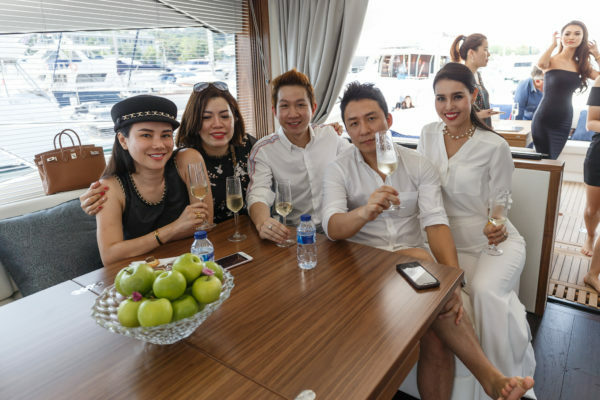 VIP guests from across Southeast Asia were invited onboard Aquanaut at ONE ̊15 Marina in Singapore, enjoying fine canapes and beverages, and exquisite service courtesy of Platinum Cruises. After a full review of the three decks, guests enjoyed a 20-minute sea trial on the yacht, which can reach 38 knots, and two sales were reported. Further to this inaugural event, Aquanaut continued its journey to Ocean Marina Jomtien Pattaya in Thailand and to Saigon in Vietnam on the Mekong river where selected guests enjoyed a sumptuous reception. 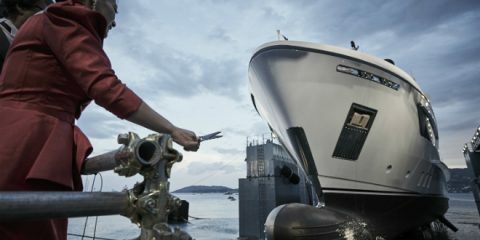 The world premiere of the 74 Sport Yacht was held at the Cannes Yachting Festival last September and the model went on to win Best Motor Yacht in Asia (20-25m) at this year’s Christofle Yacht Style Awards in Phuket, with Sunseeker CEO Christian Marti among those collecting the trophy on stage.